Blackcurrants were in the spotlight at the “Printemps de Terra” (Terra Spring) festival in Angers on the 1st and 2nd of April 2018. 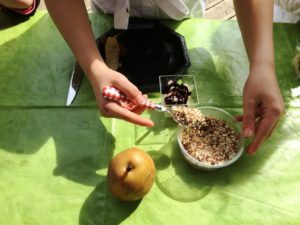 On this occasion, Val de Loire Fruits et lègumes led a cooking workshop for children. 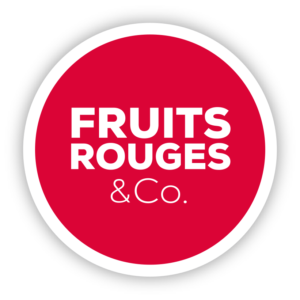 Val de Loire Fruits et lègumes is a label for the promotion of fruits and vegetables from the Loire Valley. Terra Spring was also a way to promote the blackcurrant sector ahead of the International Blackcurrant Conference of June 2018. More than 200 people participated in this culinary workshop. The aim: children learned how to prepare a simple but delicious recipe made with regional products. The recipe: a combination of “Angelys” pears with blackcurrant puree (from Fruits Rouges & Co), sprinkled with crushed hazelnuts. This workshop was an opportunity to discover (or rediscover) this generous “superfuit” particularly rich in aromas, flavors and color. Of course, it was also a way of promoting the blackcurrant sector ahead of the International Blackcurrant Conference of June 2018.